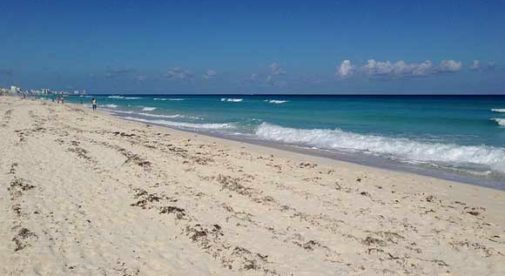 When I awaken each morning to the sounds of the Caribbean surf rolling onto the sugary beach only yards away, and watch the pelicans and gulls plucking their breakfast from the waves, I realize my good fortune to live where I do on Mexico’s Riviera Maya. But my good luck didn’t happen by accident. It took a bit of research, a little courage, and a change in course along the way. We’ve all heard the phrase, “It’s a small world” and in many ways, that’s true. However, when searching the planet for a place to stake your claim for a second home, an investment property, or even your new retirement haven, the world suddenly doesn’t seem so small. While there are many things to consider when selecting the best place for your overseas retreat, most people would agree that the cost and value of any property must garner one of the top spots on anyone’s list of priorities. Whether you’re seeking a tropical beach retreat, perhaps an island paradise, a walkable small village, or a pristine mountain view, Mexico has it all and for far less than many other locations. Mexico offers many advantages, not only for diversity of climate, modern infrastructure, geography and proximity to the United States and Canada, but primarily for the enormous financial advantage provided by the current exchange rate between the U.S. dollar and the Mexican peso. For example, my wife and I currently lease a beautiful, multi-level condo directly on the beach. The warm, turquoise-green Caribbean surf and sugar-sand beach are steps away, just beyond the pool. Our home is about 1,600 square feet, has two master suites, modern kitchen, a full private roof deck with an expansive, stunning view of the Cancún skyline, the Caribbean Sea, and the Nichupte Lagoon. It also has a small terrace off the office and three full bathrooms. It came completely furnished, including pots, pans, and dishes as well as a washer/dryer. Our rent is 20,000 pesos per month. A few years ago, that worked out to be about $1,300, a great deal which we couldn’t duplicate in the States for what we have. Today, that same 20,000 pesos converts to only $970 thanks to a very favorable exchange rate. Remember, our place is directly on the Caribbean. Savings of up to 30% can be found by searching a bit inland. Even a few blocks away from the beach can yield significant savings. When purchasing property in Mexico, look for properties whose prices are advertised in pesos rather than U.S. dollars. And like most countries outside the U.S., the best deals are never found on the internet. You need to spend some time on the ground to get a feel for the market, the neighborhoods, and the community. Prepare to rent a temporary place while you conduct your search. We found our place by walking through the area and spotting homemade signs in windows. Most locals don’t use real estate agents here. Mexico is a very large country whose shores are bathed by the Caribbean Sea, the Gulf of Mexico, and the Pacific Ocean. The center of the country, known as the Central Highlands, offers those stunning mountain views I mentioned earlier. Costs are much lower in small villages and towns compared to the larger, more popular expat strongholds. If you really seek savings and want to live away from the expat stronghold areas, take a few road trips and discover hidden opportunities in Mexico’s small towns and villages. Remember, don’t let fear to be the thief who steals the life you could have.